I am a big fan of Downtown Disney. If you haven't been yet, it's a cool area in the center of the hustle and bustle. There are tons of fun shops including the new Marketplace Co-Op, as well as lots of great restaurants. 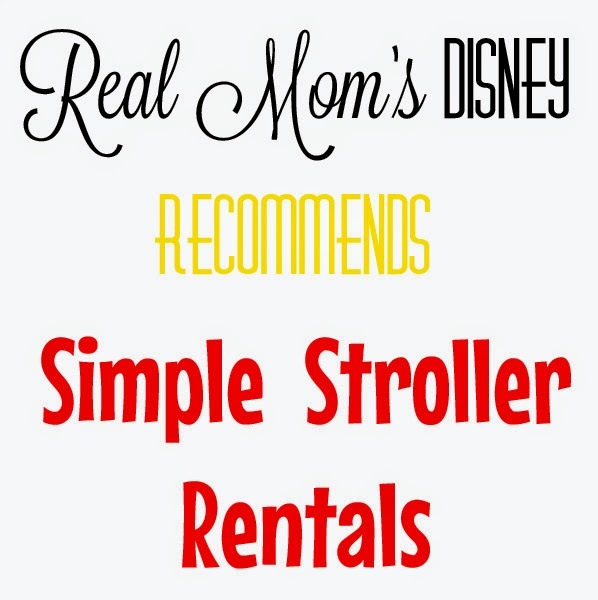 You can even use your Disney dining credits at some of the restaurants there. In addition to all of that, there are some other really cool things to do there as well, such as the DisneyQuest indoor interactive theme park, the AMC theater, Splitsville Luxury Lanes and Cirque du Soleil. So, here is some exciting news! 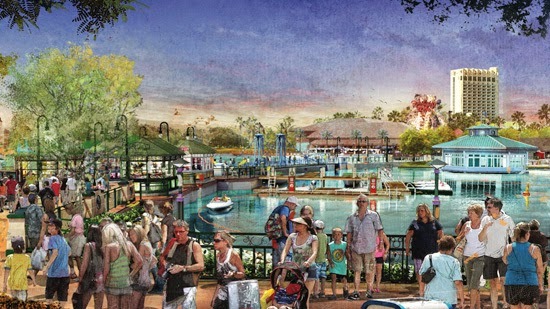 Disney is revamping Downtown Disney into Disney Springs. 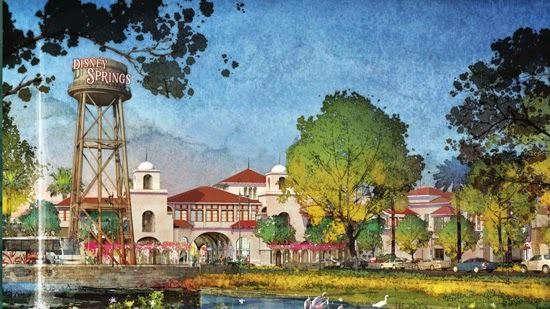 Disney Springs will consist of four unique neighborhoods and over 150 restaurants, entertainment areas and stores! 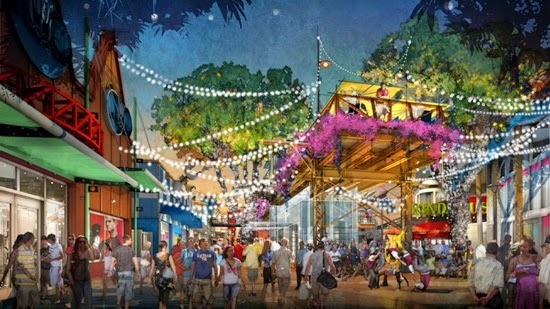 Disney Parks Blog has already released some great concept art! The neighborhoods will consist of Town Center, the Landing, the Marketplace and the West Side. There are currently around 75 total shops, restaurants and entertainment areas. This will double once Disney Springs is completed. Construction began in March and is expected to finish up in 2016. Town Center will offer a promenade where guests can stroll about as well as dining and shopping. 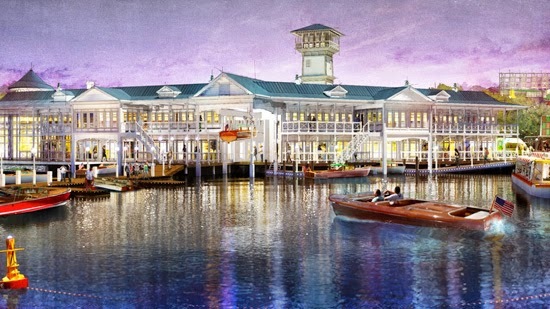 The Landing will feature gorgeous waterfront views and dining options. 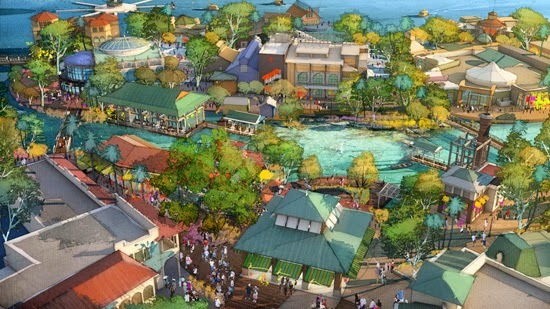 The Marketplace is set to be a family friendly area, an expanded World of Disney store and an over-the-water pedestrian causeway. The West Side will provide lively entertainment as well as elevated spaces where guests can take advantage of the shade and a place to relax and watch the activity below. What neighborhood are you most looking forward to visiting? Will you miss the old Downtown Disney?